As the workforce continues to evolve around the globe, successful organizations continue to focus on developing their leadership teams. Current leaders and leadership teams, like an athlete, sports team or orchestra, require ongoing education, training and development to achieve peak performance. At the same time, organizations strive to identify hi-potential individuals to be groomed for future leadership responsibility and, to maximize the probability of them being successful in positions of increased responsibility, developing these individuals takes time, thoughtful planning and strategic alignment to strategy and business goals. I possess significant experience in developing and executing leadership development programs that are national and international in scope. A basic definition of leadership from the Situational Leader is that leadership is influencing the behavior of a person or group of people. A large body of research on leadership by Kouzes and Posner has provided us with a practical and transformational definition by breaking exemplary leadership down into five practices. Leads by example. This requires no further explanation and those who have been in a leadership role have learned that this is not always as simple as it sounds. Paints a picture of the future by establishing a vision that, while it is aspirational, is believable and attainable. Works with others to continuously look for ways to improve processes, procedures and outcomes by encouraging innovation, critical thinking, honest communication, a problem-solving mindset and teamwork. Provides education, training, development, tools and resources that create the right conditions for job performance, proficiency and success. Establishes an environment that motivates and inspires people to bring their best to the workplace because they know they will be fulfilled and rewarded in a variety of ways. I have extensive experience in developing leaders at all levels in a variety of business situations and in a variety of cultures. By establishing a leadership development program with a cross-functional team of colleagues at a leading biotech, we were able to help reverse a company’s trend of having to go outside of the organization for almost all of its sales manager vacancies. This leadership development program enabled them to groom people within the company who desired to move into management and fill more than 80% of new manager vacancies with candidates in the leadership development program. A key benefit of this program was that new managers led teams that performed the duties, tasks, sub-tasks and steps that they themselves had performed previously, which made them more effective in their duties of selecting people for vacancies, training staff, developing people, coaching the team and achieving results. 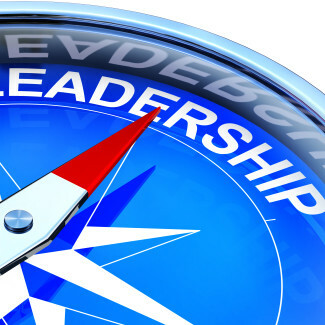 Leadership is a learned set of skills, and I have been able to help organizations groom future leaders and existing leaders so that they are equipped to thrive in a changing world. Whether it is concept, strategy, planning, program management, implementation or evaluation I can help you create a leadership development program that will meet your needs and deliver the results you need to take your leadership capabilities to the next level.